You might not be that adventurous. You might not be that wild, but if you find yourself in the middle of nowhere tired, hungry and hopeless, you have no option but to go hunting. Welcome to ARK: Survival Evolved video game, where survival is hunting, growing crops, harvesting, crafting items, harvesting and more. The question is, does it deserve the best position on the top list? Well, I might not be the judge here, but if a game allows me to collect almost all items, tame wild dinosaurs and try to survive as a normal human being, I wouldn’t mind ranking it. 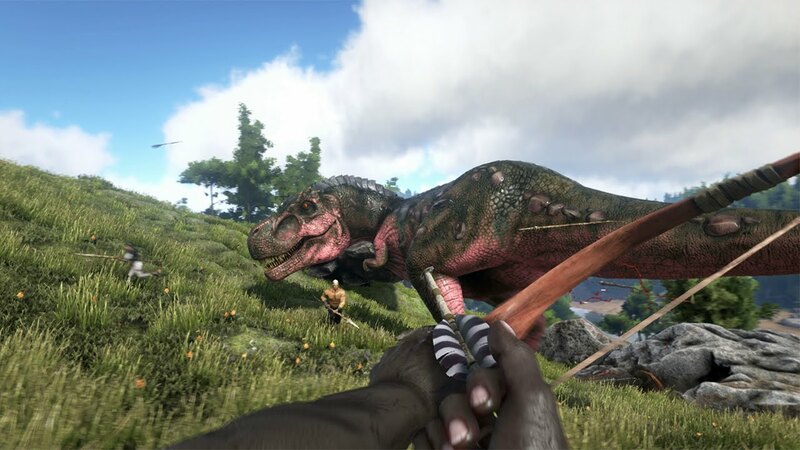 In the game, you will find yourself on an island (The Ark Island) with dinosaurs, other players, and some animals you can only find in history books. Before you begin to play, you have to create your desired character. Your character can be male or female depending on your taste. You can also decide on the shape and size you want. The interesting part is that how your character looks depends on your imagination so be prepared to meet the funniest, craziest and horrifying creations by other players. As you play, you will be able to see food, stamina and hydration level indicators and monitors to guide you through the gameplay. There will be changes in weather, so be sure of rains, fogs, hot weather and more. The most interesting part is that the weather will affect your character. You will be able to notice by looking at your hydration level and stamina indicators in the game. The more you pass the levels, the more you have options of boosting your health, stamina and other attributes you need to survive. You are also in a position to unlock more items, but to unlock the weapons, you need to work harder. You have to reach level 15 to be able to unlock more efficient weapons such as arrows and bows. Just like any other game ARK: Survival Evolved video game gives you more privileges as you go up the levels in terms of advanced weaponry, performance, stamina and more. Unlike other games, you won’t just stumble upon items and pick them up. You must craft them and to do this you have to visit places you would not enjoy visiting in real life. You have to search for materials to craft your items. In this game, you will have to venture into the harshest places such as caves. Mountains, ocean depths and more. To survive, you will need some food. The game gives you the option of growing and harvesting crops you will need to survive. You can find and pick some seeds in the forest and plant them. You also have the option to use the fertilizers you can get from faeces of other players. By doing this, the crops will grow into fruits and other vegetables which you will be able to include in your nutrition for survival. 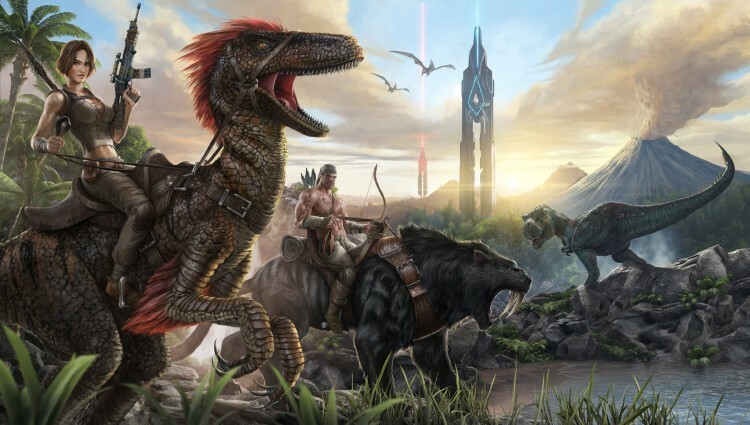 In ARK: Survival Evolved you can create your own tribe and adding other players to be part of your fellow tribe’s men or women. The people you add to your clan will be a source of help in terms of manpower, protection and more. The tribe is important especially when you are away and not playing. They will protect you and your home, they will save you when you are in trouble and more. Just like in real world you can capture other players, use their blood to increase your health. You can also use them as food to your tamed canine friends. You will be growing crops, and you will need fertilizer. You can collect the manure from other player’s droppings and more. Anything you make in the name of a weapon will last longer until it wears out. If you aren’t playing, your player will remain sleeping. Unlike other games your character can’t come back from the dead. It is, however, noticed that the game gives you options such as to use other players to save yourself. The good news is that, you don’t have to die alone, you can use what other players have to help yourself. In summary, the game is good. There are a lot of positive feedbacks and reviews from other players. It is not just about hunting; it is about surviving, and if you are looking for a game that can match the reality, I think ARK: Survival Evolved deserves a position on the top list. The graphics, the themes and the options that come with the game even make it more attractive. The MMORPG is the most common type of MMO game. Massive multiplayer online games typically involve huge servers that allow many dozens or even hundreds of people to play simultaneously in a virtual world over the internet. It is an extremely popular form of video game entertainment for those who have solid internet connection, and one of the best ways to take advantage of it is with RPGs. The complex storylines and character development of this genre are perfect features to expand on massive online worlds where gamers play against each other or cooperate. The depth of epic online worlds can vastly transcend that of single player of smaller multiplayer games. This post compiles some of the best MMORPG games for PC in 2015.